For SIHH 2019, Montblanc has been bombarding us with new releases, and for the first time in the last few years, I’m quite excited about this. Montblanc is unveiling new Minerva pocket watch-inspired pieces to its Heritage collection. There are four Automatic models that are the focus of this article. Two more limited “collector” editions will be covered separately in another article. There’s a lot to cover here and not a lot of information has been provided so far, but we will have a chance to see the watches hands-on soon and bring you a closer look. Let’s jump right in. The Montblanc Heritage Automatic features a polished 40mm stainless steel case (water-resistant to 50m), and really sets the stylistic tone of the collection. It’s a simple time-only dress watch that I feel channels some seriously vintage vibes with a selection of dial options. The silver dial is the cleanest of the lot, but also one of the most “vintage-y” with its railway dot hour markers offsetting the Arabic 3, 6, 9, and 12 o’clock indices. Additionally, there is a raised chapter ring that features red indicators at the Arabic numeral locations. One compelling aspect of the watch that’s easily missed is the sandblasted ring that the applied indices reside in, providing a welcome contrast to the silky white dial design. Slightly domed sapphire crystal is used, as is pretty common for dress watches at this price-point. The Montblanc Heritage Automatic will also be available in a Red Gold model with a cool “smoked caramel” dial. 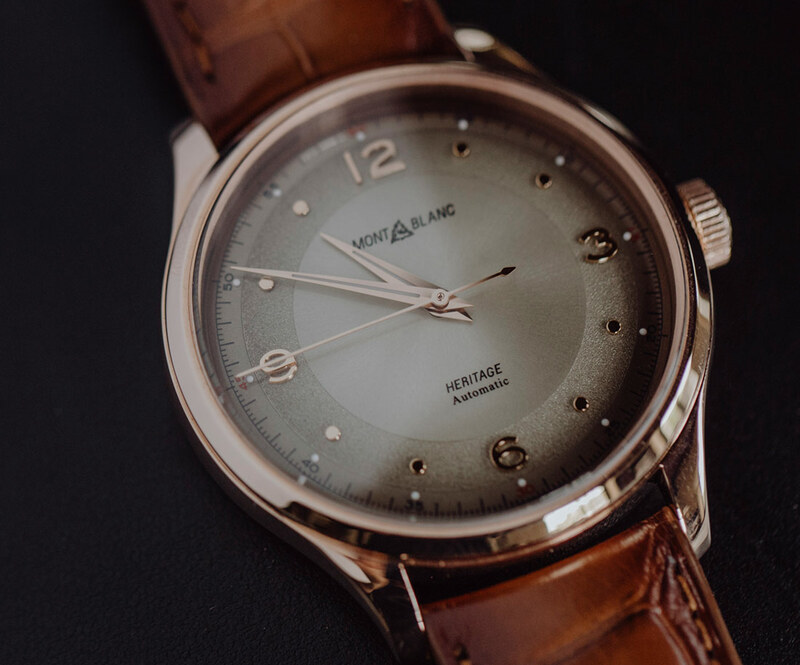 This look holds a special place in my heart because I can remember the same style dial on a watch my grandfather used to wear, and it’s an uncommon modern option. 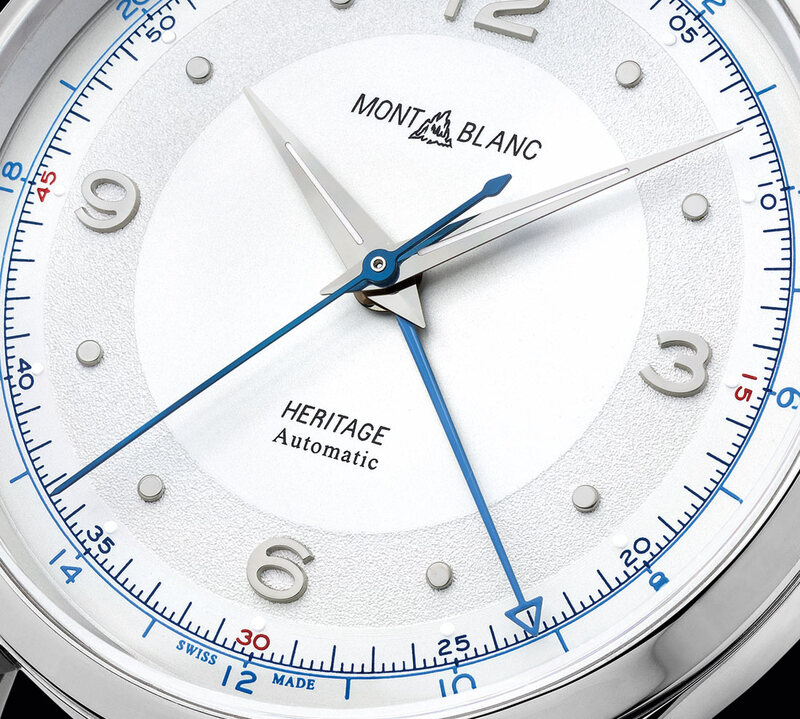 Montblanc did not yet provide an image of a third model with a stainless steel case and salmon-colored dial. Another aesthetic decision is the inclusion of the vintage take on Montblanc’s logo, instead of the typical Montblanc Star — a welcome nod to a time past. Inside the Montblanc Heritage Automatic is the MB 24.09 movement. It is based on a Sellita SW300 that typically has a 38-42-hour power reserve and 4Hz frequency. Here, the date display has been omitted. As for strap options, the stainless steel will come on a Milanese bracelet or gray-black Sfumato alligator leather strap from the brand’s Florence-based Pelletteria (something they’ve seriously been taking advantage of lately, and I love it). Price for the Montblanc Heritage Automatic is 2,150 € on the Milanese bracelet (119945), 1,950 € on the leather (119944), and 7,900 € in red gold (119946). 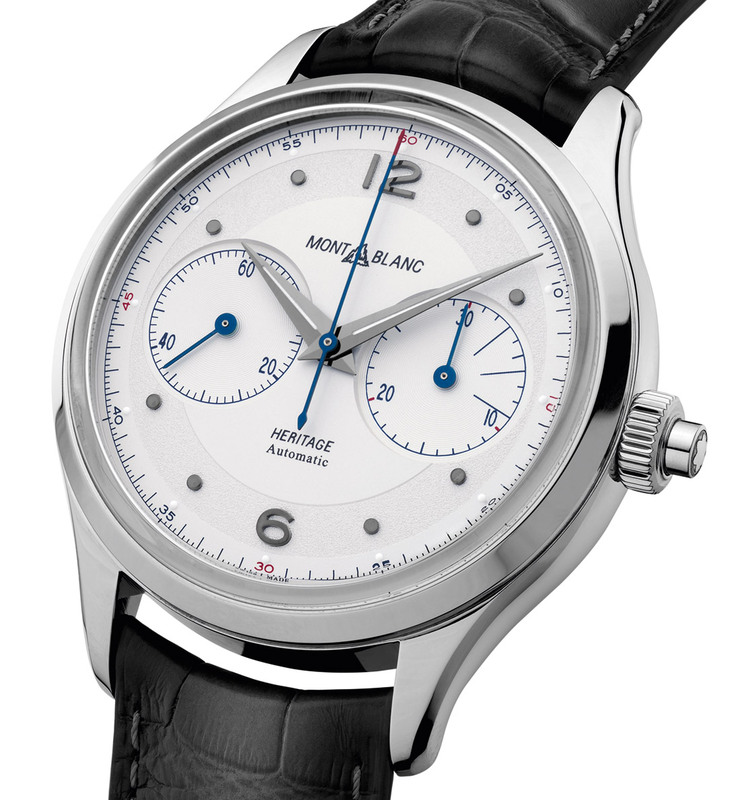 The next watch in the collection is the Montblanc Heritage Automatic Day-Date. Measuring in at a modest 39mm, the stainless steel case (water-resistant to 50m) is fully polished and features those same curved horn lugs that give the watch a dressy appeal. This watch, however, comes solely in a white dial variation at this time. 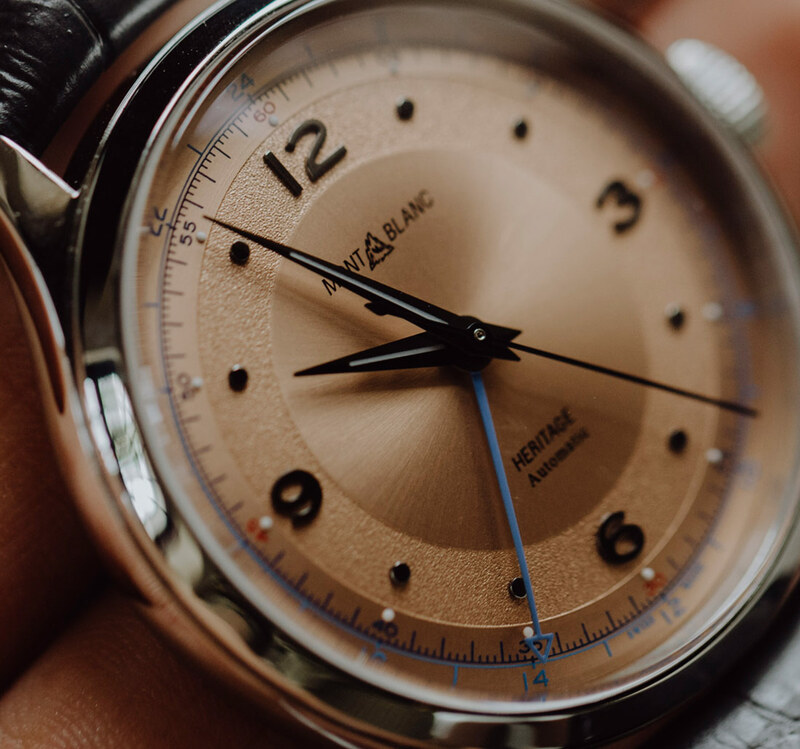 It is visually similar to the Heritage Automatic, with the addition of a fully spelled out day of the week at 12 o’clock, and a small date aperture above the 6 o’clock position. Montblanc, I can’t say this enough: THANK YOU for not trying to include cut-off Arabic indices as well as the date windows. This, alone, propels the watch to one of the better dress watches in Montblanc’s lineup, in my estimation. The movement inside the Montblanc Heritage Automatic Day-Date is unspecified (“Movement: Automatic Day-Date”), but we can confidently speculate that it is a sourced one (probably Sellita, again). I would be surprised if they aren’t using something like the MB 24.18 from the 4810 Day-Date released in early 2015, which features a 42-hour power reserve, 21 jewels, and beats at 4Hz. Only one strap option is discussed in the press release, and that is the same black-gray Sfumato alligator leather strap from their Pelletteria in Florence. 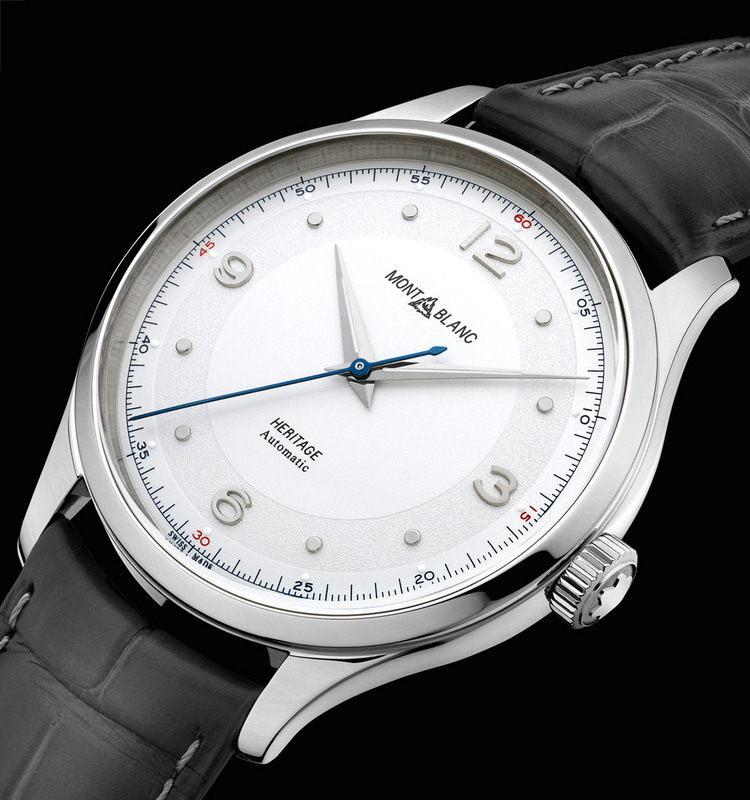 Price for the Montblanc Heritage Automatic Day-Date (119947) is 2,450 €. The third of the lot is the Montblanc Heritage GMT. Measuring in at 40mm, this watch is also visually similar to the first two, with the addition of a few changes that I think make it stand out a bit. First, and most obvious, is the thin blue GMT hand that perfectly reaches the additional chapter ring featuring the 24-hour scale in blue. There is still a seconds ring, but the red indices remain — and I feel this detracts from the overall colorway. The watch still utilizes a domed dial and domed sapphire crystal and keeps in line with that unique sandblasted ring to house the hour indicators. This is one instance of a dress watch for which I would actually prefer to see a date window, as I feel the GMT complication merits it. 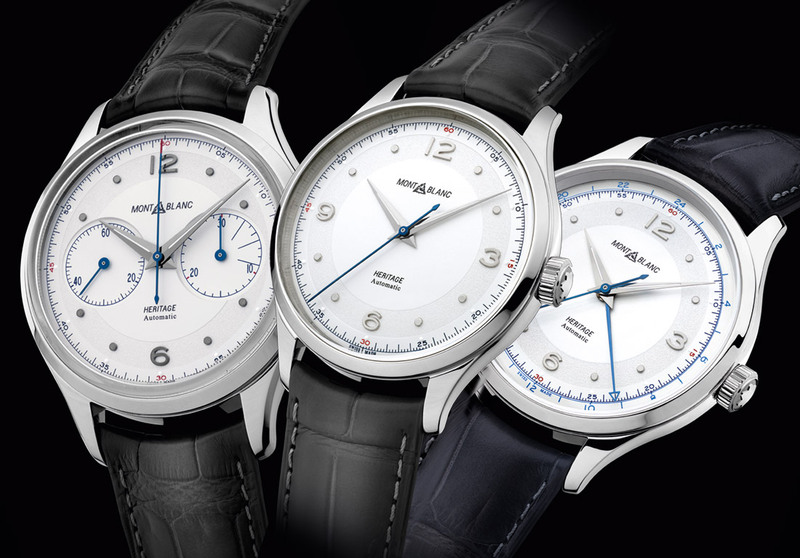 In addition, the Montblanc Heritage Automatic GMT will come in three variations, though two are just simple strap changes. The white dial model will come on a steel Milanese bracelet or that same black-gray Sfumato alligator leather strap; the other dial option is a salmon-color domed dial on the same leather. And for what’s inside? Again, the movement is “Automatic with 24-Hour GMT Complication.” Unfortunately, I’m not comfortable speculating here, as Montblanc utilizes a number of different movements with GMT complications with minor variations in specs. I imagine they will line up with the previous models listed with this release, but we will post specs when we receive them. They do, however, disclose a water resistance of 50m. Price for the Montblanc Heritage Automatic GMT is 2,950 € (11949) on the bracelet and 2,700 € (11950) in the leather for either dial option. The last of the bunch, and the model I personally find the most interesting, is the Montblanc Heritage Automatic Monopusher Chronograph. Surprisingly small for a monopusher, the polished stainless steel case measures in at 42mm with a domed sapphire crystal (water-resistant to 50m). The case is reminiscent of a stopwatch, complete with a single pusher to operate the chronograph — a fun addition, and a simple way to dress this watch up. While not published, the thickness would make or break the deal for me on a 42mm chronograph, as I imagine it’ll be quite tall with the movement and the domed crystal. As for the dial, it just feels fresh, with minimal markings or clutter and, again, it’s another great example of omitting the Arabic indices instead of cutting them off with the two sub-registers. In keeping with the stopwatch influence is the red-tipped chronograph central seconds hand aiding the vintage layout of the dial. A neat detail of the Heritage Monopusher is the 3, 6, 9 indicators on the minutes sub-register. 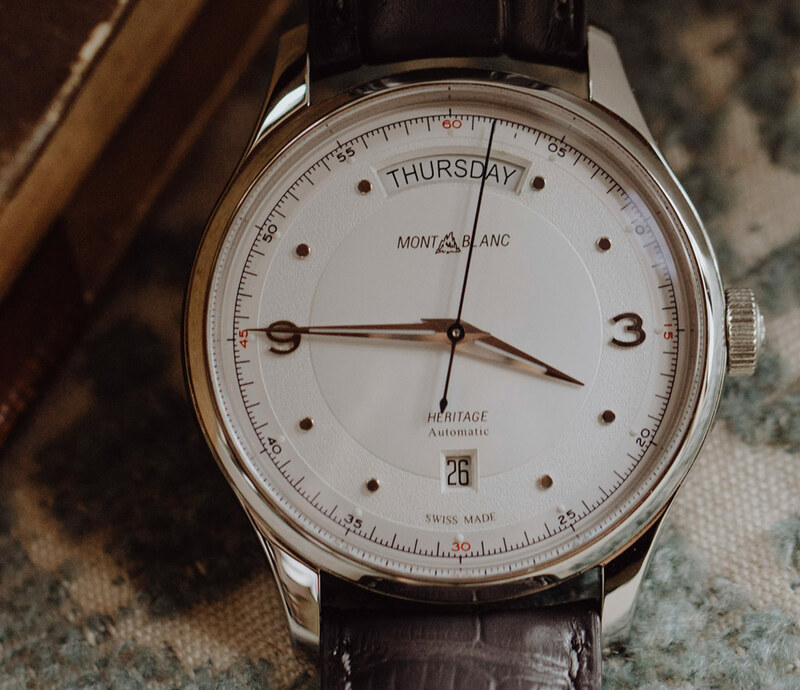 This is a direct nod to some of Montblanc’s old chronographs that have these indications to time pay-phone calls, and a subtle way to set this watch apart from the plethora of chronographs bound to be announced this week. No specific movement information is provided for the Montblanc Heritage Automatic Monopusher Chronograph, but its price, along with brand language (not specifically stating “manufacture”) suggests that it is some version of a sourced movement. If that is the case, it is somewhat awkward that Montblanc makes an effort to tie the Monopusher Chronograph to the heritage of the Minerva factory, which the brand purchased and now uses to produce Montblanc’s high-end in-house movements. 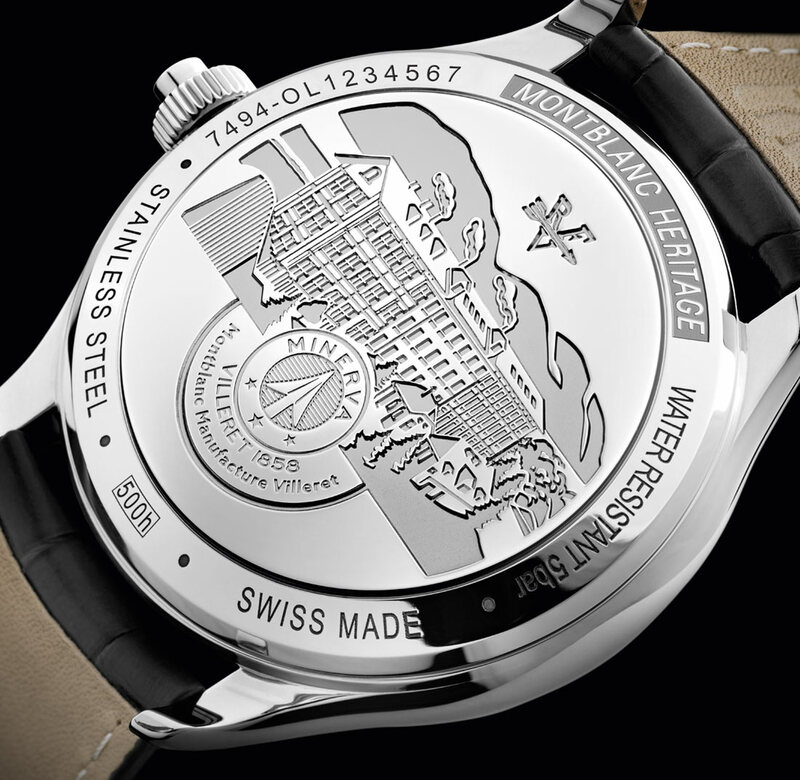 The press release language refers to the monopusher chronograph complication as a “nod to Minerva,” and the solid case back has an engraving of the factory. It’s all somewhat mysterious, but we’ll bring you more details soon! This watch will also come with a Milanese option, as well as the same black-gray Sfumato alligator leather strap. Price for the Montblanc Heritage Monopusher Chronograph (119952) is 4,950 € on the steel bracelet, and 4,700 € on the leather. Learn more at montblanc.com. 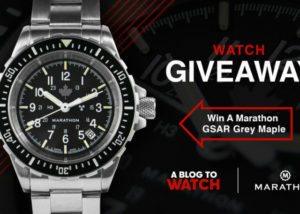 another “perfect GMT watch” that drops dead on the finish line. i mean: perfect dimension, great design, good pricing, automatic, lume, 24h ring… and you put no date window?? besides, missing a dark dial is shame. I normally like MontBlanc but these leave me quite cold. What’s the deal with the back of the Heritage Automatic Monopusher Chronograph? Yikes! For that price, clearly as far away as you can get from a Minerva movement. Reminds me of Asian knockoff garbage. Without that false advertising back, could have been a solid offering. What is with the back of the Heritage Monopusher Chronograph? Yikes!! Looks like it was put on the wrong watch. Another ridiculous marketing effort, IMHO. Could be a solid offering without the false advertising that is seen in the pic. Wow! Gorgeous pieces. The macro shots show the level of finishing is amazing for this price point. 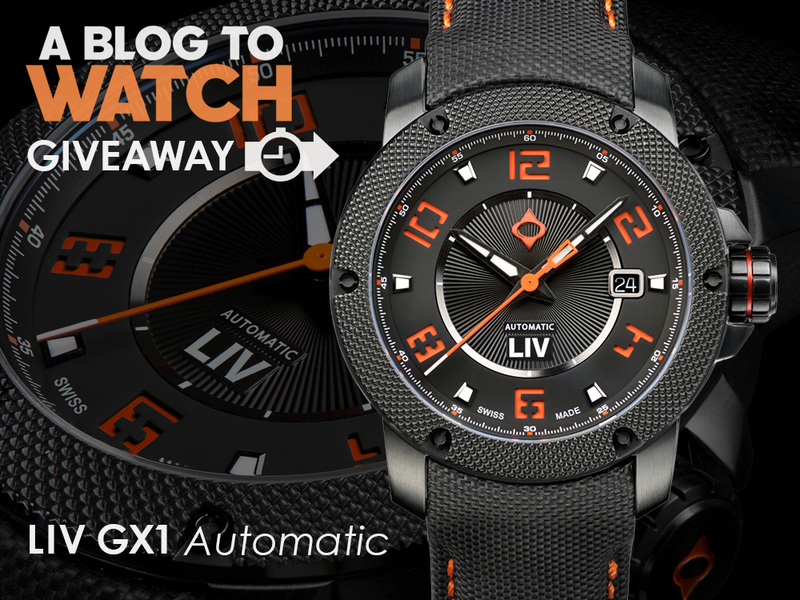 I want that GMT in salmon. Thankfully, they left the date off, and kept the beautiful symmetry of the piece.